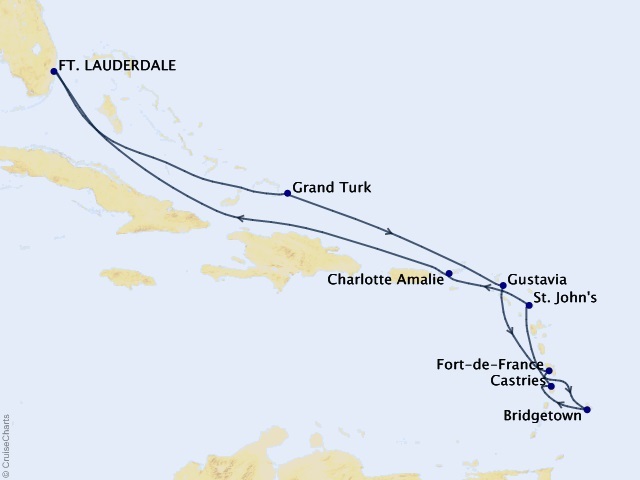 Departing from Ft. Lauderdale on November 24, 2019, prices starting at $4,395. ONE Guided Sightseeing with Private Car and Driver tour (Value - $500 per Couple) in the port below. 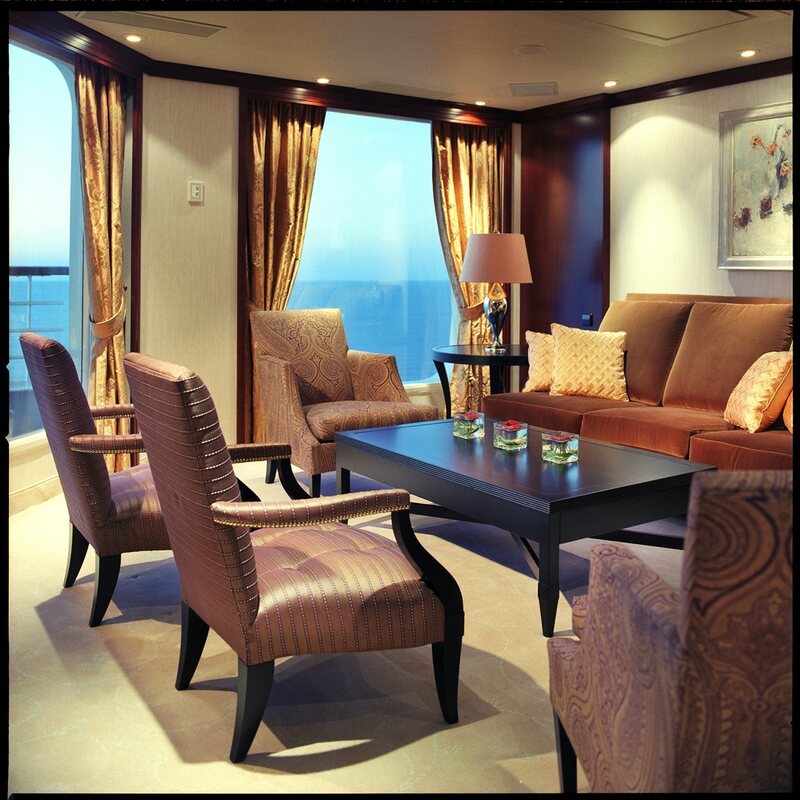 ONE Private Car and Driver "At Your Leisure" tour (Value - $500 per Couple) in the port below. Castries - Please click here for the tour descriptions. 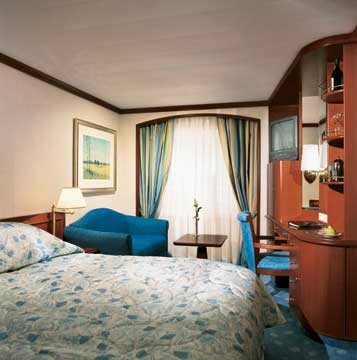 Fine touches and a relaxing atmosphere await you on the Crystal Serenity. 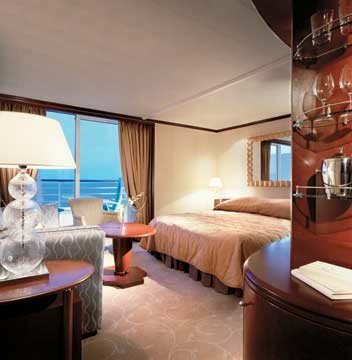 This luxurious ship boasts a staff full of friendly faces who believe in meeting their passengers’ every need. 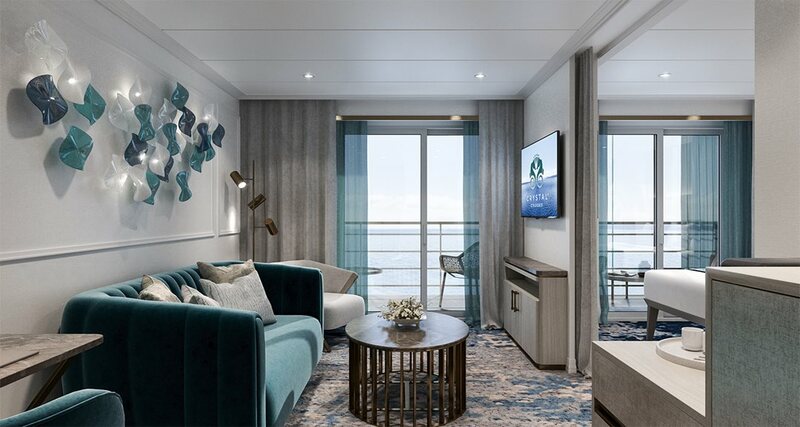 With its stylish but muted color schemes, this ship has a quiet, understated elegance and personifies why Crystal is the finest experience in luxury travel. 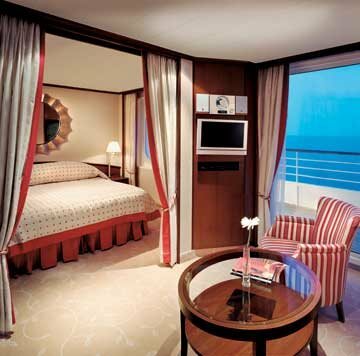 Onboard you’ll find spaces to relax like the Seahorse pool with its plush seating, The Vintage Room wine cellar and your spacious stateroom, of course. There are lots of options for dining from the classic Bistro Restaurant and Main Dining Room to the Silk Road Restaurant created by famed sushi chef Nobu Matsuhisa. 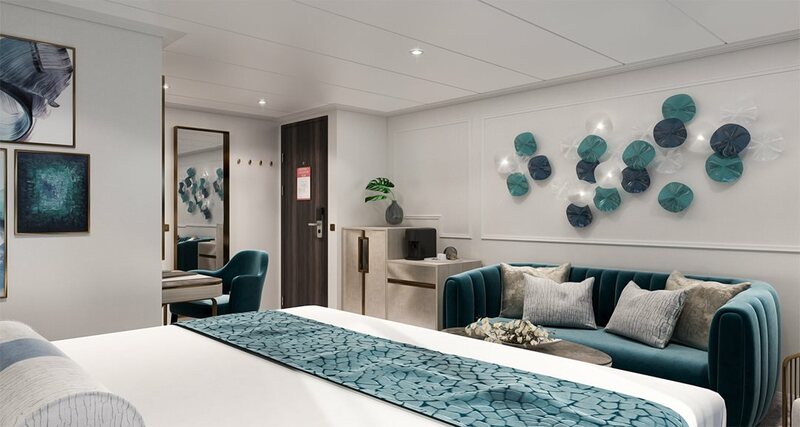 Serving just 1,070 pampered guests, Crystal Serenity maintains one of the highest space-per-guest ratios at sea, so you'll never feel crowded. 100% payment is due at the end of the option period. Options will not be extended. Seating area; Queen-size bed or twin beds; Full bathtub/shower combination; Private verandah; Color TV with remote & DVD player; Refrigerator; Security safe; Data port for laptop computer hook-up; Complimentary soft drinks and bottled water in the room; Total area: 269 sq.ft. 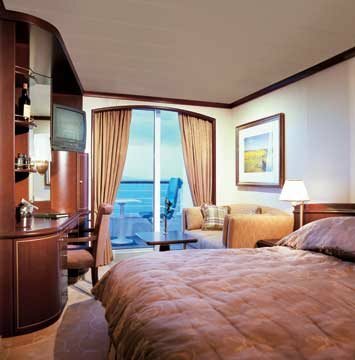 Sizeable living area; Queen-size bed or twin beds, and third berth; Vanity in dressing area; Full Jacuzzi® bathtub; Separate shower; Walk-in closet; Private verandah; Flat-screen TV and DVD player; Refrigerator; Security safe; Data port for laptop computer hook-up; Complimentary wine plus choice of liquor from set menu upon embarkation; Complimentary soft drinks, beer, and bottled water in the room; Personal butler service; Total area: 403 sq.ft. 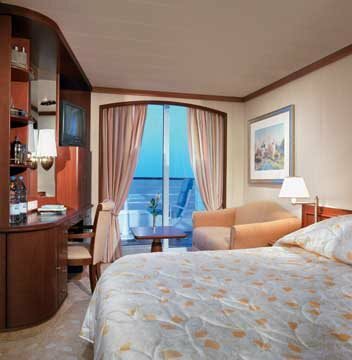 Spacious living area; Dining area; Separate bedroom area; Vanity in bedroom; Queen-size bed or twin beds, and third berth; Full Jacuzzi® bathtub; Separate shower; Bidet; Walk-in closet; Private verandah; Picture window in bedroom; Flat-screen TV, DVD and CD players; Refrigerator; Security safe; Data port for laptop computer hook-up; Complimentary wine plus choice of liquor from set menu upon embarkation; Complimentary soft drinks, beer, and bottled water in the room; Personal butler service; Total area: 538 sq.ft. Spacious living room; Dining area; Guest bathroom; Pantry; Library; Private workout area including personal treadmill; Large bedroom with king-size bed or twin beds, and third berth; Master bathroom with Jacuzzi® and ocean view; Separate shower; Bidet; Walk-in closet; Large private verandah; State-of-the-art Bang & Olufsen® sound system; DVD player; Flat-screen TVs and DVD players in bedroom, living room, and bathroom; Refrigerator; Security safe; Data port for laptop computer hook-up; Cordless phone; Complimentary wine plus choice of liquor from set menu upon embarkation; Complimentary soft drinks, beer, and bottled water in the room; Personal butler service; Total area: 1345 sq.ft.